I got the opportunity to work on something that was pretty cool back in its time: a Western Arms SCW Wilson Combat 1911 (this gun is a bit of a mish-mash of parts from a couple of different guns, so I’m not sure which model exactly this one is). Western Arms are by no means the most gameable GBB pistols around nowadays, especially considering the scarcity of parts and price point within Canada. I was honestly kind of surprised that anyone local would even own a working WA SCW. Read on after the break for the pictures I took with my phone while I was working on the gun. Following my Contour ROAM2 outer lens getting shot out on June 8th at Jasper’s (“Kampfer”) birthday, with an impact from a 0.40g or 0.43g heavy-weight BB from a long-barreled GBBR (this is actually on film here), I haven’t been able to record any helmet camera footage since. I really wish I could, but I can’t due to Contour screwing up my order twice now – more on this after the break. I’ve owned this LCT AK-104 AEG with LCT AK-105 receiver and stock hybrid (technically a AKS-105) since at least August 2012 – just shy of a year since I brought home my LCT AK, I think I’ve had enough rounds fired through this gun to do a decent review of the internal build quality of an LCT. I’ve since thrown on a few different parts to the externals, though the internals, magazines and batteries have all remained the same since my last after-action review. Changed internal parts that I’ve been running are: Madbull 363mm 6.03 Black Python II barrel, Systema hop up bucking, Guarder 70-degree black (hard) hop nub, and Cyma torque motor out of my very first AK from years ago. Reliability-wise, I’m very impressed with the gearbox. It hasn’t actually failed me as of yet; it was pretty much my only go-to gun from late Fall of 2012 to early 2013. The spring has slightly compressed from the 400 FPS mark on a 0.20g BB I chrono’ed it at in December 2012 to the 376 FPS mark on a 0.20g BB, though the consistency is still up there within about 3 FPS deviance. I did just open up the gearbox and clean/re-grease it after doing that chrono test, so I’m actually not sure if muzzle velocity and consistency may have gone up a bit. 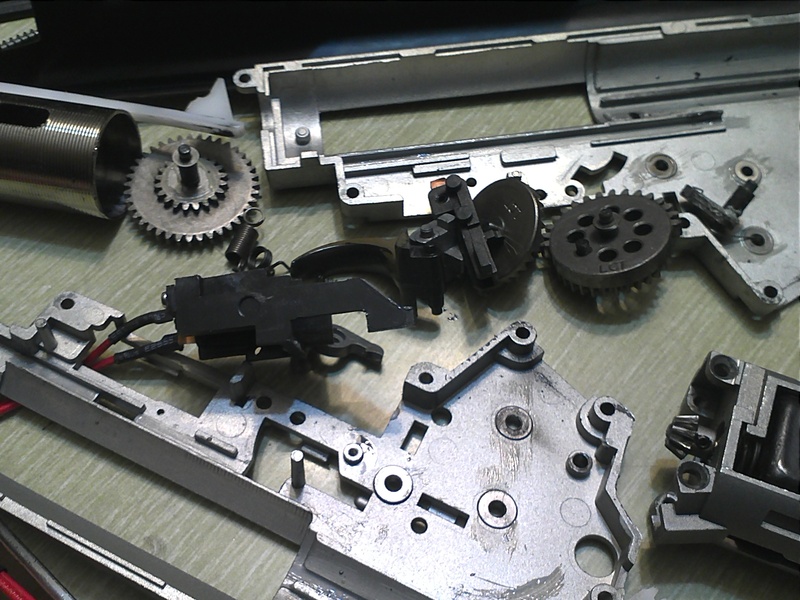 More on the condition of the various internal components with pictures after the break. I had to buy two separate rigs to make my one rig. Like a boss. My goal all along for my SEALs AOR1 6094 has been to toss the 6094k front plate onto a 6094a, and thanks to a recent teammate’s shootercbgear.com order (thanks again, Dirt and Mondue! ), I was able to finally do that. 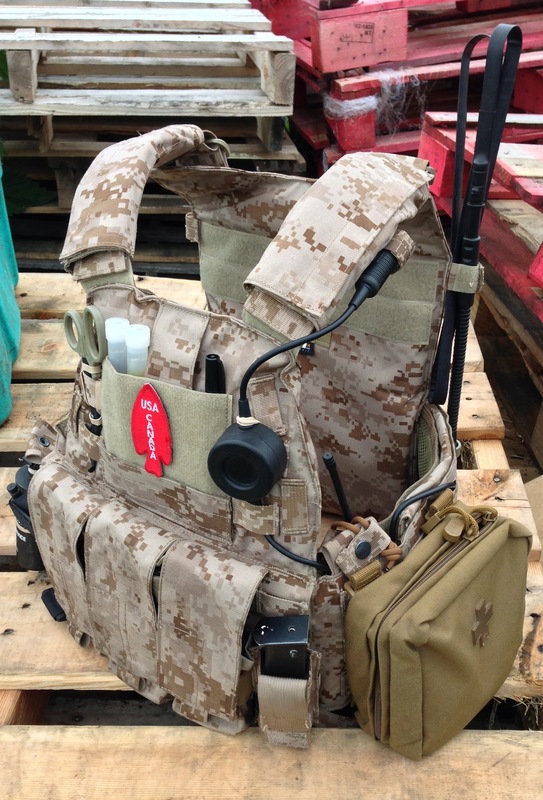 The combined rig you see above combines the best of both worlds – the awesome K front plate with the versatility of the A’s well designed cummerbund. As you can see the MOLLE cummerbund allows me to mount a GP on my off side (so as not to interfere with the belt mounted sidearm draw on my strong side). This allows me to mount my BBs/batteries/utilities within easy reach, without resorting to using a pack (although I love my Yote and will still be using it from time to time and especially for sims). The “wingman” pouches present on the A cummerbund also allow me to carry my radio pouch within the cummerbund instead of having to rely on a separate pouch. It’s still within easy reach should I need to make volume/channel adjustments, which is important during gameplay and especially important if you’re wearing Sordins or other headsets (this is the main reason why I don’t mount my radio on my back like I’ve seen others do). The A shoulder pads are immensely comfortable and make up for one of the major downsides of the K, which was the thin, non-padded shoulder straps. The A pads also have convenient cable/hydration tube routers, which is always nice to have. 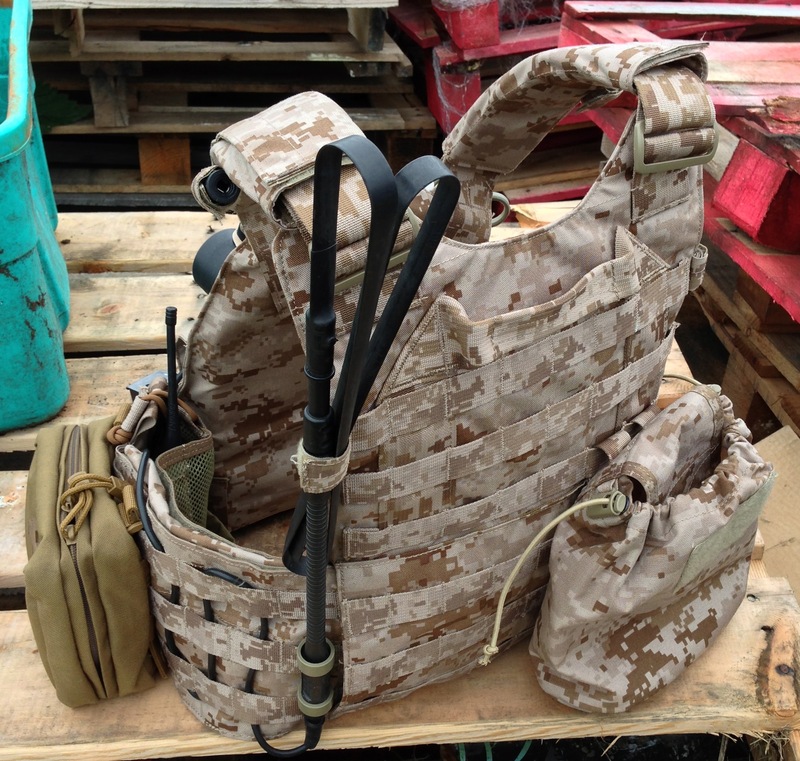 As you can see the backplate is mostly bare save for my blade antenna (which was lifted from my MARSOC kit and is purely for aesthetics) and a MOLLE drop pouch which is on there to carry a water bottle. The latter will be replaced shortly with an AOR1 hydro pack. I’m undecided on what else to toss on the back, although some smoke/flash/slap charge pouches seems to be the popular choice. I think I’ll go with the slap charges. I came up with an awesome idea when discussing this with Juicy the other day – I’ll draw the slap charge from my back like a sword and use it as a melee weapon. Then I’ll shout “you’ve been slapped!” whenever I hit someone with it. Y’know, because it’s a slap charge. A slap charge. See what I did there? Firefox LiPo battery packs I choose over other Airsoft and RC packs due to their long-term longevity and low out-of-the-box lemon rate. 1100MaH will last between 1100-2200 rounds, depending which gun I put them into. 11.1V 15C gives me the trigger response needed to run my gun in semi-auto as fast as I can pull the trigger, and enough juice to give me a nice burst of full-auto into those players that just aren’t calling their hits the first time. In my PTW – approximately 9-10x 120rd mid-cap magazines worth. Considering how we are limited to 8x mid-cap magazines at a time, this seems like a good lightweight battery to install into my PTW for each excursion out of designated reloading areas. In my AEG – approximately 16-18x magazines, though I haven’t yet tested the lifetime of these on a full charge in my current King Arms M4 configuration. Either way, 16 magazines worth is 2 full mid-cap mag compliments of 8 loaded mags per trip back to base.I will be carrying 1x Firefox 11.1V 1100MaH 15c LiPo onto the field with me at all times on my person or in my 2nd line kit. Turnigy Nano-Tech batteries I purchased after hearing good things from “Gunny” and a few other players who were testing them at the time. Biggest plus – they’re cheap. Biggest downfall – they don’t last as many charge cycles as the Firefox. All 3 of my Turnigy Nano-Tech packs have puffed up after only a handful of charges from 40-60% drain… though that being said, I kept using them for many, many more charge cycles and they still haven’t exploded or otherwise stopped working on me yet. I’ve seen a couple of these packs that the first few guys who bought them owned smoking and abandoned in the parking lot at Panther (knock on wood). In my PTW – … more mags than my FCC motor is capable of handling before it overheats. One battery should last 10 hours of regular (but not constant) firefights. I’m more concerned about one of these blowing up than I am about it running low. 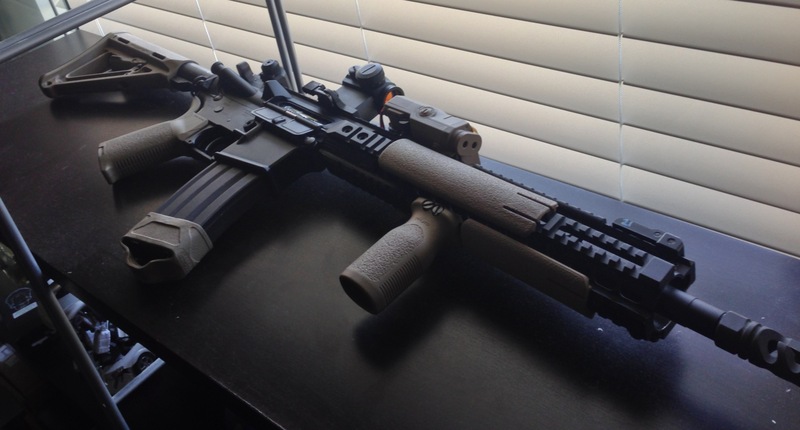 In my AEG – I honestly don’t have a stock that is currently equipped on my King Arms M4 AEG to even accept this battery, but I’ll be trying to sort this out before August. If I had to make an educated guess (have not yet even tested my current KA M4 build on these batteries yet), I’d say about 30 mags worth of BBs? That seems like a stretch, but actually… in warm weather, with a VFC torque motor and 200% torque gears, I’d say 2200MaH x 1.5 for warm weather x 120 rds/mag = 27.5 mags… and that’s a conservative guess, as I’ve shot and seen AEGs that can get nearly 2x as many shots out as the MaH in the pack in warm weather. Ultrafire makes somewhat decent rechargeable CR123A – though they are cheap, so I buy them. Every few Ultrafire RCR123A battery that I buy doesn’t like to be charged, due to the + terminal being slightly off spec and slightly too short (thus far 2/10 RCR123A). Though the capacity is only 800MaH as versus what I recall being 1000MaH in most of the non-rechargeable CR123A varieties, I make up for this in cost – buying a single, decent CR123A isn’t cheap. 2 CR123A for long gun light, either Element M3X on PTW, or Element M600C on AEG. 1 CR123A for a PEQ-15 if I decide to utilize a laser. 1 extra set of 3 CR123A batteries as a back up. I try to maintain a stockpile of CR1620 batteries at all times. I’ve tried Energizer, GP, and an ACM-brand or two of these batteries in my ACM T-1 red (and red/green) dot sights. Though I do have other red-dot optics at my disposal, I still prefer the ACM T-1 red dot as it gives me the crispest, clearest sight picture with little parallax error at a decent price that I’m not afraid to replace my T-1’s at if they get shot out or are otherwise rendered unusable. When running a gun with one of my ACM T-1’s, I do try to keep a spare CR1620 on me at all times. For the times that I do forget to pack one into a pouch or a pocket on regular game days, scenario days, and short mil-sims alike, I’ve had to rely on my back-up irons at least once. I won’t require a spare set of batteries for my other (current) optic of choice for Operation Iceback, an ACM TA31 4x ACOG on repro ARMS mount. The 4x optical zoom will allow me to see a little further – both to make the most of the range I’m capable of getting accurate hits on target with my primaries, as well as to ID targets that are too far away to clearly tell what team/squad they’re on. I’ll start off with this moderately blurry gem of a photo (I didn’t have enough time to snag a second shot) – Julian wearing a helmet. 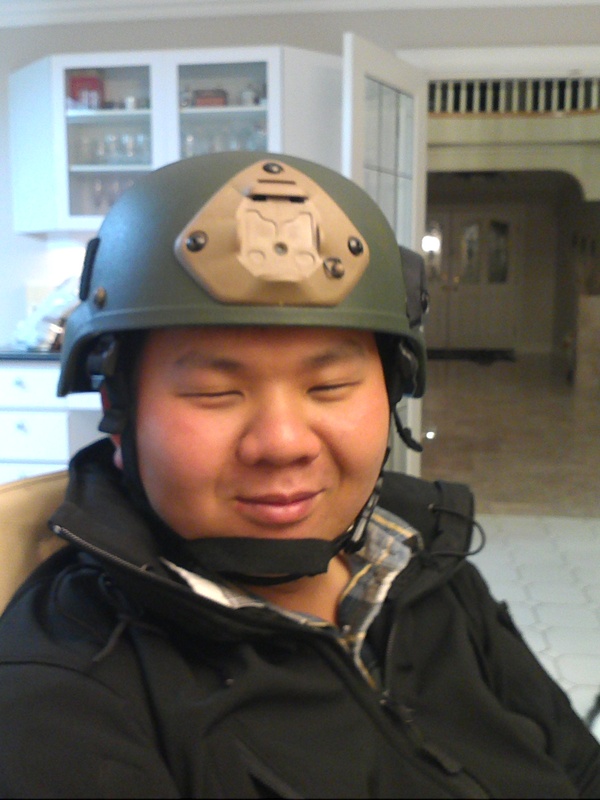 Optix never wears anything on his head except for the occasional hat, especially when its for playing Airsoft. One ACM MICH TC 2000 helmet – with an “Ideal Military” sticker inside it (mine is pictured above, on Optix’s head), and one ACM MICH TC 2002 helmet – no-name brand purchased used from Ebay (Jaws’). Similar outside, but different inside – read on for my comparison of the finer details. That’s what my wallet would say if it could talk. Good thing for me that it can’t, because when this package came up for sale on ASC for a more than reasonable price, I jumped on it, wallet be damned. It was too good of a deal to pass up. 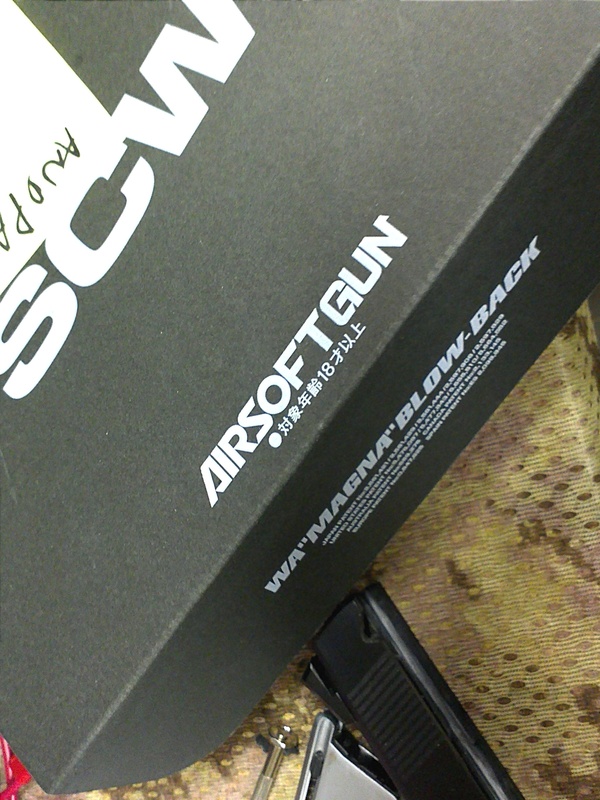 Well you see, dear wallet, this is a Tokyo Marui next-gen recoil shock AEG. First impressions of the important features of my new toy, as well as pics of the internals after the first breakdown, after the break.